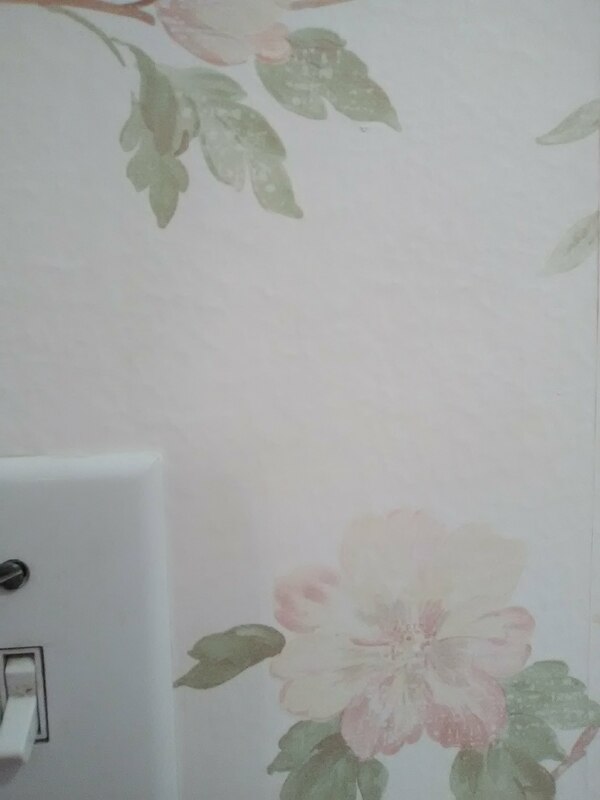 See that light dimpling under the wallpaper in the top photo? That is the textured wall showing through the new wallpaper. I sure don’t like this. First of all, it just looks cheesy. Second, hanging over texture impedes the wallpaper’s ability to cling to the wall – it wants to adhere to a smooth, flat surface, and can’t get a firm grip on a maze of hills and valleys. Once I started to strip the paper (second photo), I could see the wall’s original texture. Once all the paper is off and the surface is solid and clean, I will skim-float the wall to smooth it. Then a primer, then the new paper can go up. 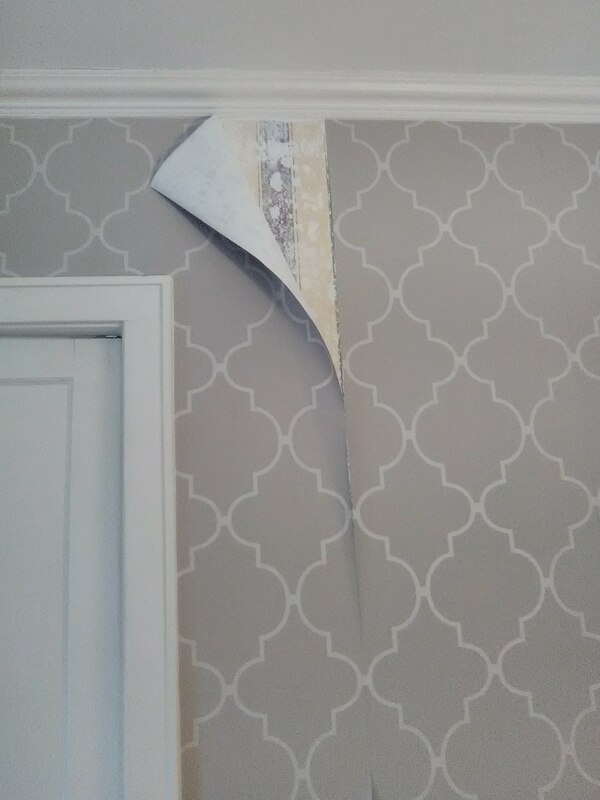 Here I am trimming the right edge off a strip of wallpaper, where the papered accent wall meets a painted wall. 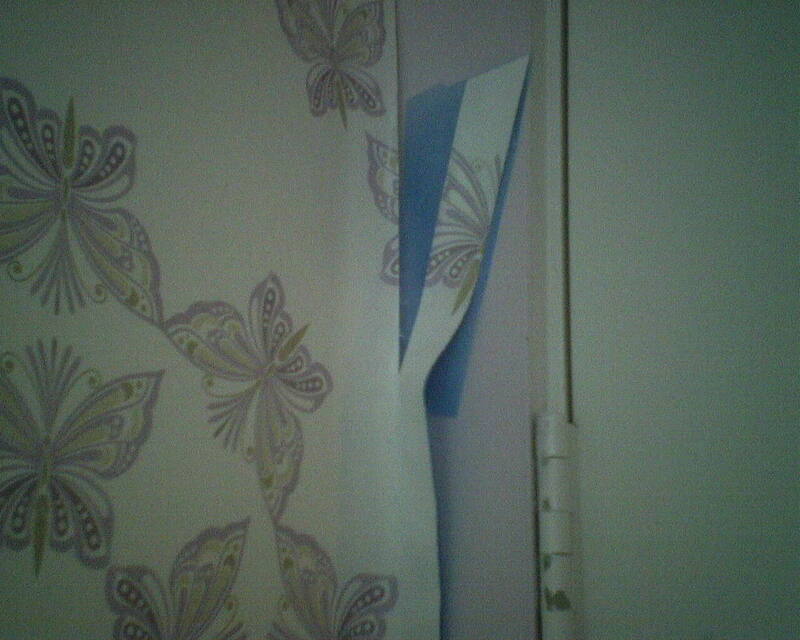 To keep paste off the painted wall, I have applied some 2″ wide, thin plastic non-adhesive tape to the back pasted side of the wallpaper. 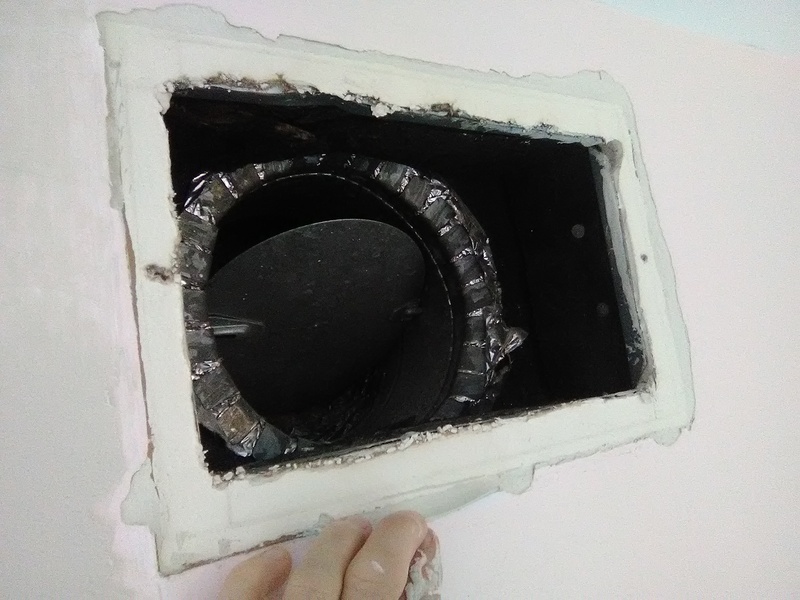 In the photo, I have trimmed off the excess paper, and am removing the protective plastic tape from the underside of the wall paper. 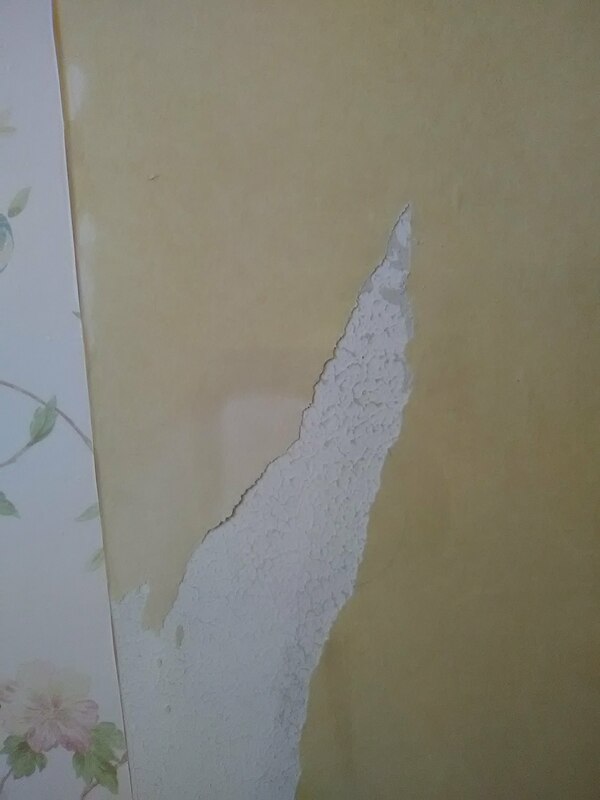 Now the paste is uncovered and able to adhere the wallpaper to the wall.